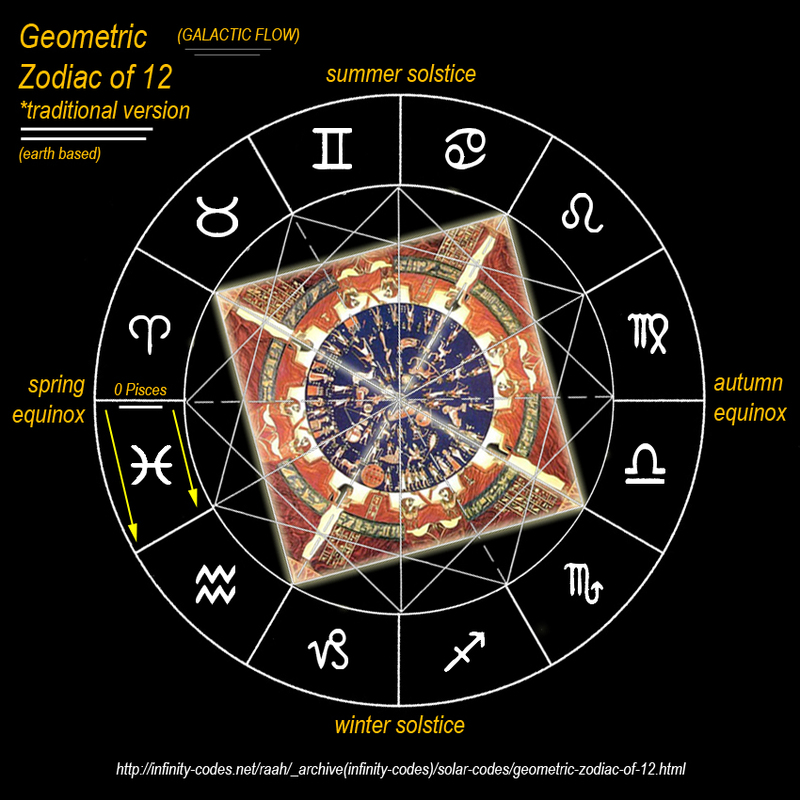 The Traditional Zodiac (and also Galactic Version) are made up of 12 signs all of equal length, and 12 x 30 degrees = 360 degrees in the circle. 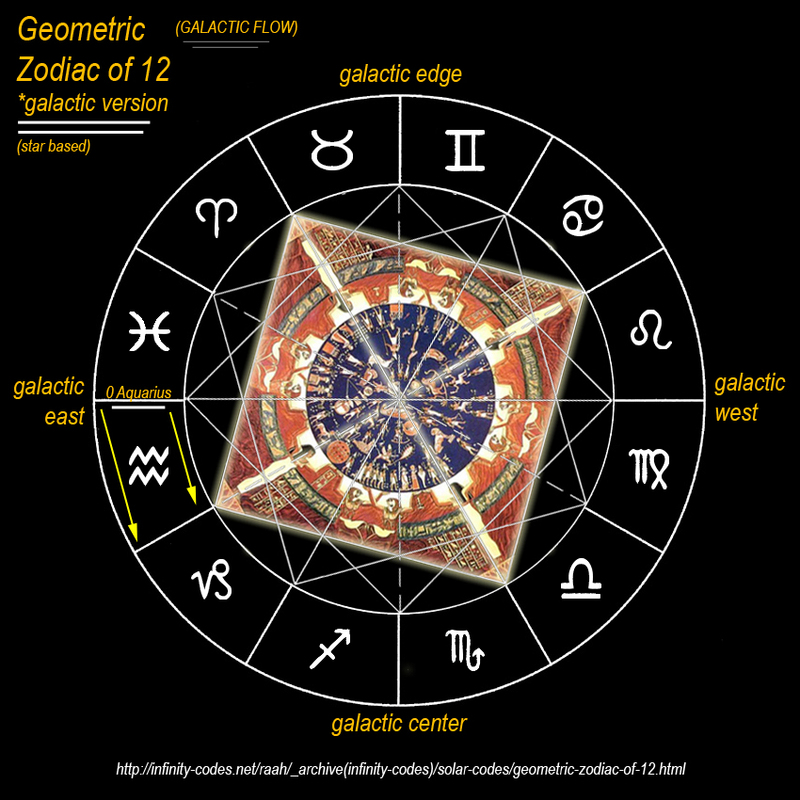 This is the standard measurement for all 12 sign Geometric Zodiac's. 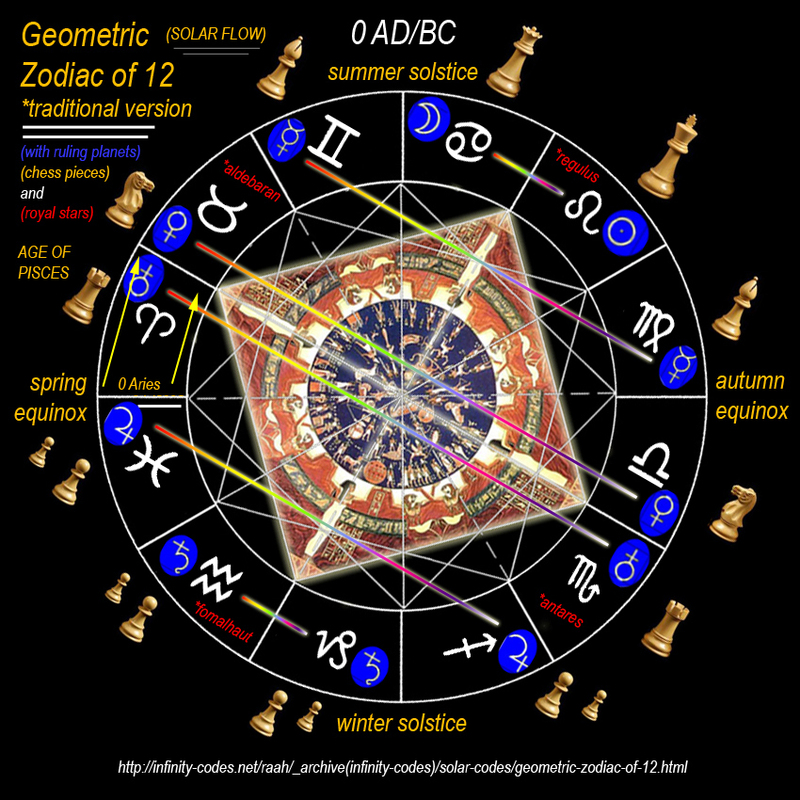 However, the signs have shifted 1 Geometric sign (30 degrees) since around 0 BC/AD, this is due to precession (which the Traditional just ignores). This is why I have adjusted the Galactic Zodiac *Galactic Flow* so "galactic east" is 0 Aquarius... 30 degree after 0 Pisces. 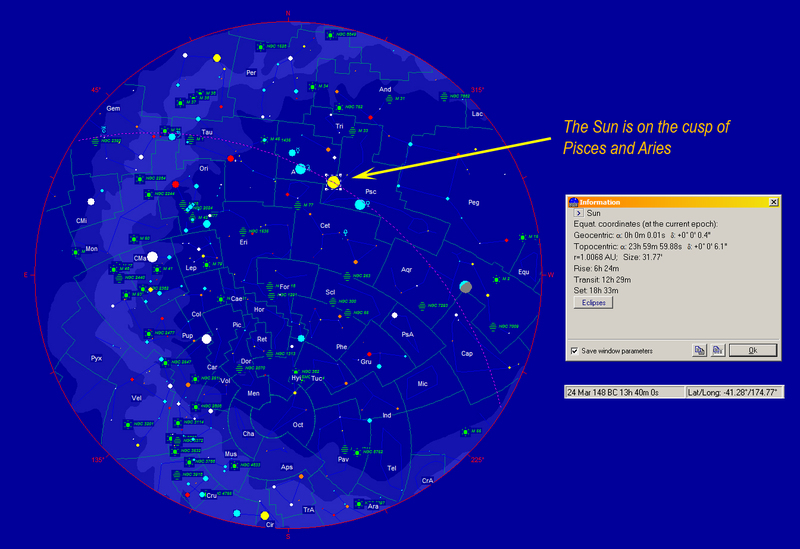 Its 30 degrees in the opposite direction of the *Solar Flow* as this is the way the Sun shifts in relation to the background stars over the course of a 26,000 year cycle of precession. 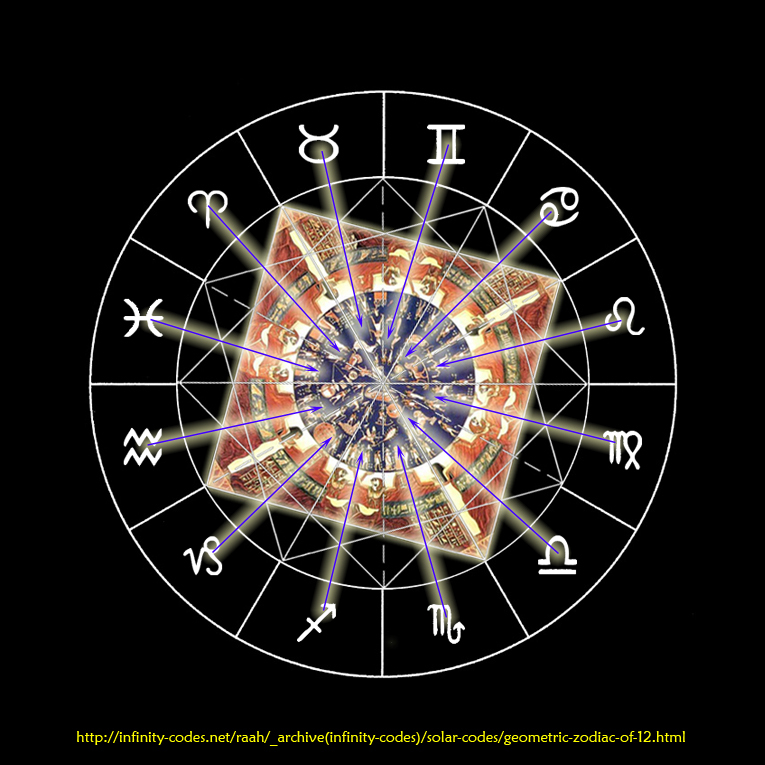 This graphic shows where in the Dendara Zodiac the 12 signs can be found as art. 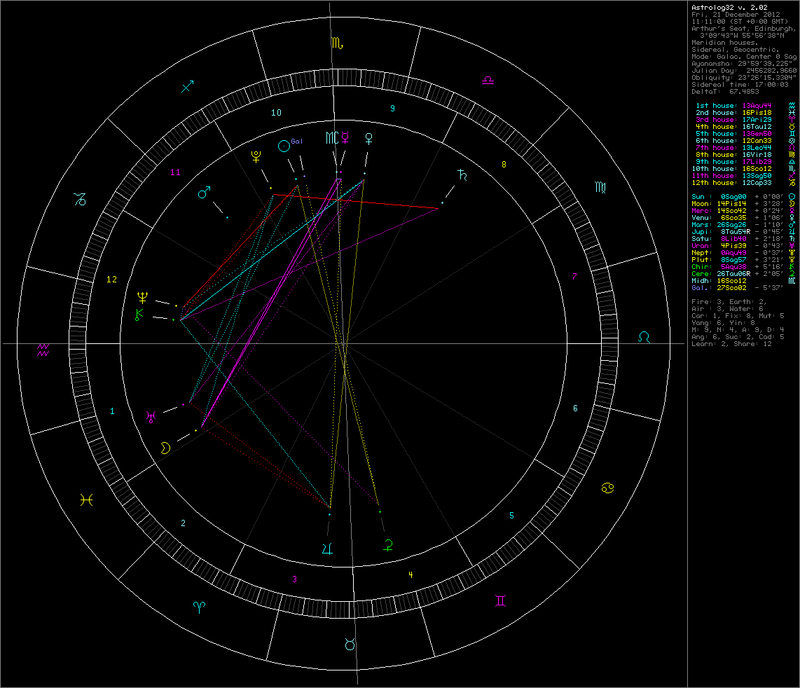 In order to make sure the Galactic Zodiac anchors correctly I made this graphic below. 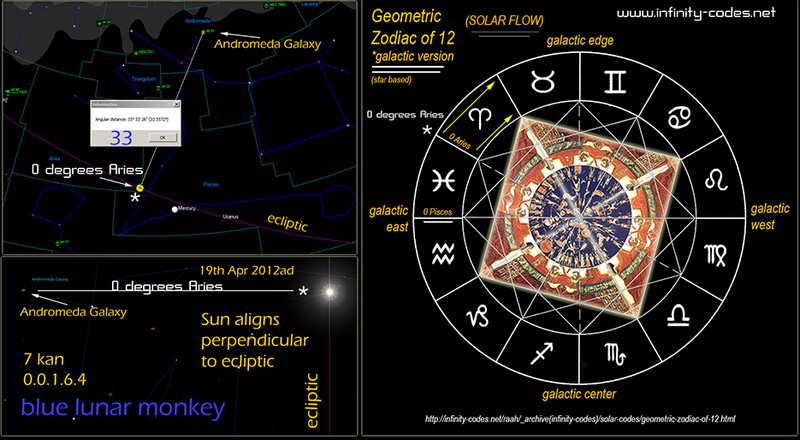 Its based on the key point where the Sun was at 21.12.2012 ~ the Zero Point in Time ! 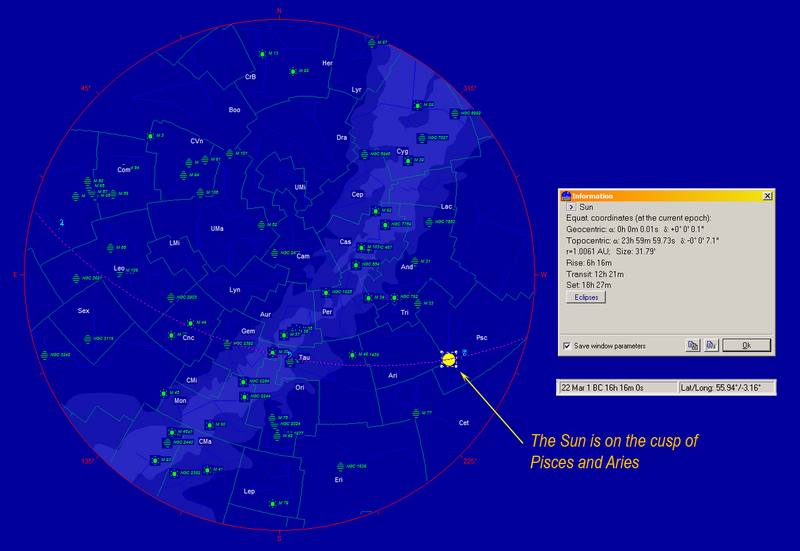 Currently the Winter Solstice (*Summer Solstice for Southern hemipsher) Sun is aligned with the center of the Galaxy, or more accurately the place where the Ecliptic and Galactic Equator meet. This point is situated between Scorpio and Sagittarius in the stars, though there is a 3rd sign thats missed out called Ophiuchus, whose foot points to the center of the Galaxy. 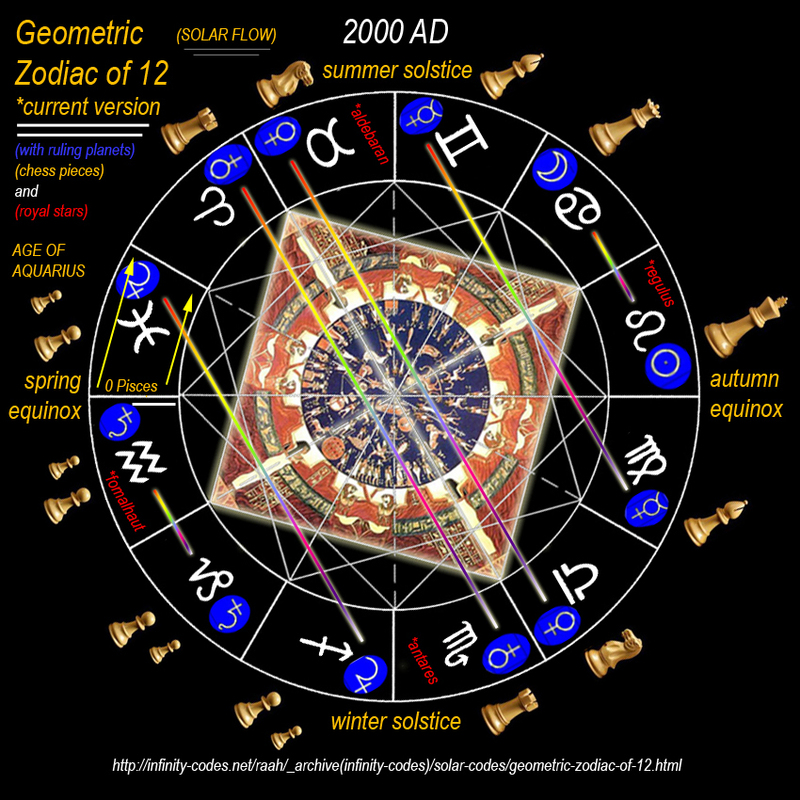 Essentially the Galactic Zodiac is a Sidereal Zodiac with zero-point locking it into where the Ecliptic and Galactic Equator meet = 0 Sag ( anchored at 21.12.2012). This new zodiac has Galactic Center (Gal) as 27 Scorpio, with (-30) adjustment from Traditional as 27 Sagittarius. 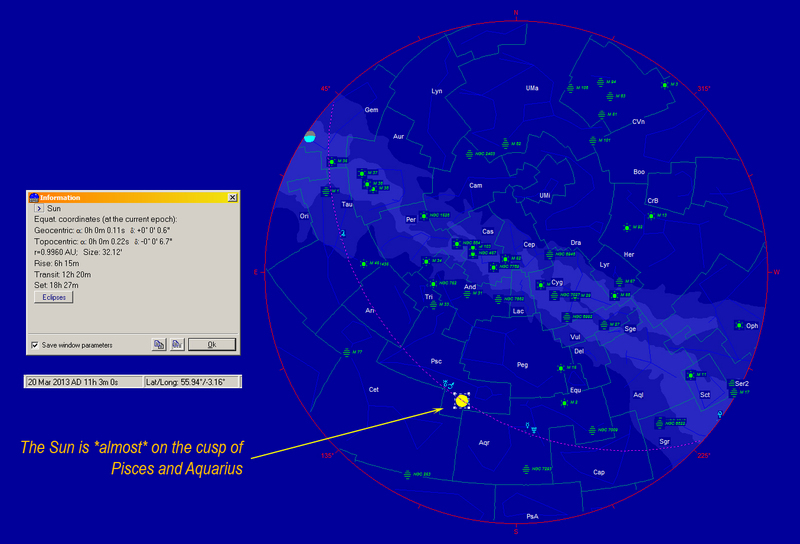 where the Ecliptic meets Galactic Equator = 0 Cap in Traditional system. where the Ecliptic meets opposite Galactic Equator = 0 Can. in Traditional system. 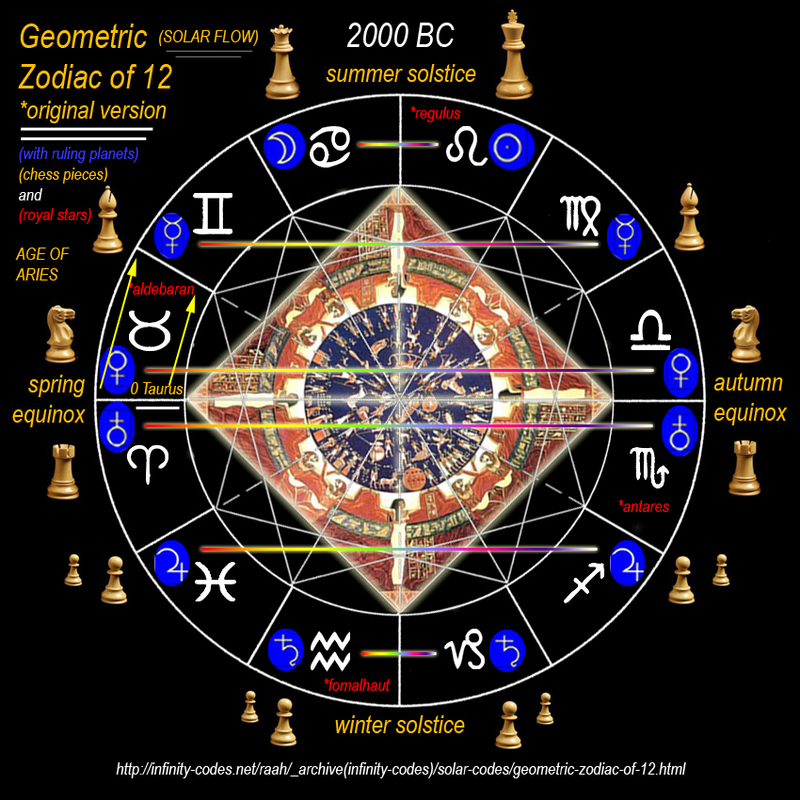 when does the Age of Aquarius occur in Organic Zodiac ?